From September through December, a host of cultural celebrations and national holidays will fill the streets of Puerto Vallarta with exciting sights, tastes, sounds, and unforgettable vacation experiences. Puerto Vallarta, Jalisco, Mexico – Whether you're a visitor or a full- or part-time resident, engaging in Mexico's holidays and traditions is a great way to get to know the culture and heritage of the Mexican people. From September through December, the following cultural celebrations and national holidays will fill the streets of Puerto Vallarta with exciting sights, tastes, sounds, and experiences for the enjoyment of locals and tourists alike. 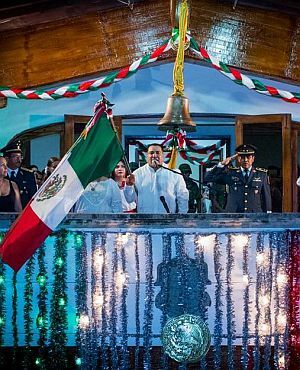 September is El Mes de la Patria in Mexico, the month of the country, when Mexico celebrates its Independence from Spain on September 16th. And in true Mexican style, we celebrate the entire month. The streets are decked out in green, white and red, which are the national colors of Mexico, and street vendors sell flags, streamers, balloons and other things to celebrate the event. Although the holiday is the 16th of September the festivities actually begin a couple of days before. On the 13th of September, Mexico remembers the fallen young soldiers who died in the Battle of Chapultepec in 1847 in Mexico's war with the United States. El Dia de los Niños Heroes celebrates the slain cadets that fought so bravely for their country. The 14th of September is known as El Dia del Charro, or Day of the Cowboy. The celebration traditionally begins with local charros, wearing large sombreros and brightly embellished jackets, riding on the horseback through the streets of downtown. The festivities continue into the evening with rich food, music, dancing, and traditional charro style calf roping on the Malecón. 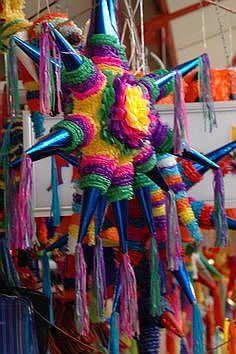 The 15th of September is Noche del Grito, or Night of the Yell. At 11 pm all over Mexico, people gather in the main plazas of their towns and the mayor, together with the President of Mexico from the National Palace in Mexico City, gives "El Grito" (literally the yell or shout) of independence, commemorating El Grito de Dolores where Father Dolores Hidalgo launched the War for Independence on the night of September 15, 1810. The 16th of September is the National Holiday, and it's a patriotic celebration marked by civic ceremonies, parades, concerts and lively parties in the downtown area. At first glance, the Mexican custom of El Día de los Muertos (the Day of the Dead,) may sound much like the US custom of Halloween. After all, the celebration traditionally starts at midnight on the night of Oct. 31st, and the festivities are abundant in images related to death. But the customs have different origins. In typical Halloween festivities, death is something to be feared. 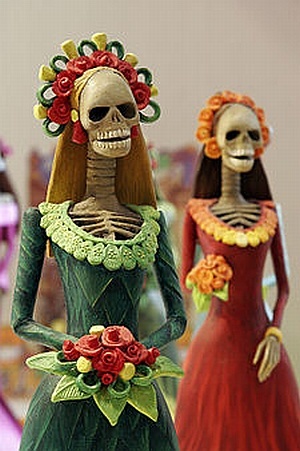 But on El Día de Los Muertos, death — or at least the memories of those who have died — is something to be celebrated. Every year on November 1st (All Saint's Day) and 2nd (All Soul's Day), Pre-Hispanic religion, life, death, art, sorrow and humor come together to commemorate and honor family members and friends who have passed on. Celebrants attend family reunions, decorate their loved ones' graves, and create elaborate altars, or ofrendas. In Puerto Vallarta, the 5 de diciembre cemetery is the site of traditional Day of the Dead observances, but the city's other cemeteries, located in Ramblases, El Progreso, Ixtapa and Las Palmas, will receive thousands of residents and visitor alike during this three-day observance. On November 20 Mexico commemorates El Día de la Revolucion, or Revolution Day, the start of the Mexican Revolution ignited by Francisco Madero. More commonly known as el veinte de noviembre, Revolution Day in Puerto Vallarta is a time of celebration with music, (especially Mariachi, which became the symbol of the Revolution because it represented the national spirit of the indigenous Mexican blood,) parades, cultural activities, patriotic speeches and official ceremonies. 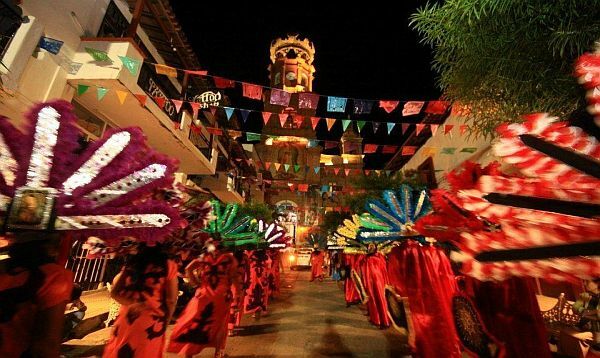 December in Puerto Vallarta is always filled with colorful traditions and wonderful fiestas, making it a great time to visit! December 1–12, the twelve days leading up to the Day of the Virgin of Guadalupe, are particularly festive, with the church bells ringing every morning and the nights filled with people walking the Malecón, street vendors, and great entertainment throughout the city. December 12 is one of the most festive holidays in Puerto Vallarta, simultaneously celebrating Día de Nuestra Señora de Guadalupe, which commemorates the miraculous appearance of the Virgin of Guadalupe to the Indian peasant Juan Diego on December 12, 1531, and the day that Puerto Vallarta was founded. After the religious ceremony, join the celebrations on the Malecon with fireworks, and a variety of street food vendors offering Mexican delicacies. December 12–24 are the time of Las Posadas, which are candlelight processions throughout the city that commemorate the biblical story of Joseph and Mary’s search for shelter in Bethlehem. Christmas Eve and Christmas Day are dedicated to spending time with family and celebrating. Shortly after Christmas, the festivities continue with the Day of the Innocents (Dec 28), when people pull practical jokes on each other; and on into the New Year when Puerto Vallarta gathers on the Malecón, the preferred spot to watch the fireworks display over Banderas Bay. Travelers visiting Puerto Vallarta over the next few months will have the unique and memorable opportunity to experience these cultural celebrations first-hand. The local community welcomes tourists to join all of the festivities and learn about the cultural heritage of Mexico.